Our extensive research has shown that imitating the smart money can generate significant returns for retail investors, which is why we track more than 700 prominent money managers and analyze their quarterly 13F filings. The stocks that are heavily bought by hedge funds historically outperformed the market, though there is no shortage of high profile failures like hedge funds’ recent losses in Facebook. Let’s take a closer look at what the funds we track think about Twenty-First Century Fox Inc (NASDAQ:FOXA) in this article. After adding Twenty-First Century Fox Inc (NASDAQ:FOXA) to their portfolios in droves during Q2, hedge funds took a step back from the stock in Q3, as there was a 6% decline in the number of shareholders. That wasn’t enough to prevent Twenty-First Century Fox Inc (NASDAQ:FOXA) from landing on the list of the 30 Most Popular Stocks Among Hedge Funds in Q3 of 2018, where it ranked 26th. In the eyes of most market participants, hedge funds are viewed as unimportant, outdated investment vehicles of the past. While there are more than 8,000 funds with their doors open at the moment, our researchers look at the bigwigs of this club, about 700 funds. Most estimates calculate that this group of people watch over bulk of the smart money’s total asset base, and by observing their top picks, Insider Monkey has formulated various investment strategies that have historically beaten the broader indices. Insider Monkey’s flagship hedge fund strategy surpassed the S&P 500 index by 6 percentage points annually since its inception in May 2014 through early November 2018. We were able to generate large returns even by identifying short candidates. Our portfolio of short stocks lost 26.1% since February 2017 even though the market was up nearly 19% during the same period. We just shared a list of 11 short targets in our latest quarterly update. What have hedge funds been doing with Twenty-First Century Fox Inc (NASDAQ:FOXA)? Heading into the fourth quarter of 2018, a total of 73 of the hedge funds tracked by Insider Monkey held long positions in this stock, a 6% drop from one quarter earlier. 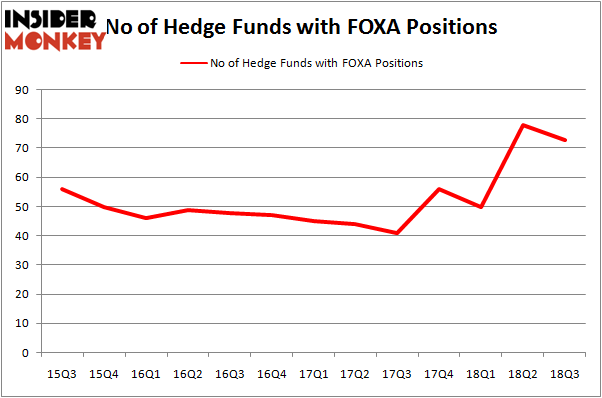 On the other hand, there were a total of just 56 hedge funds with a bullish position in FOXA at the beginning of this year. With hedge funds’ sentiment swirling, there exists an “upper tier” of notable hedge fund managers who were boosting their holdings meaningfully (or already accumulated large positions). Among these funds, Baupost Group held the most valuable stake in Twenty-First Century Fox Inc (NASDAQ:FOXA), which was worth $2.41 billion at the end of the third quarter. On the second spot was Egerton Capital Limited which amassed $1.67 billion worth of shares. Moreover, Hound Partners, Citadel Investment Group, and Mason Capital Management were also bullish on Twenty-First Century Fox Inc (NASDAQ:FOXA), allocating a large percentage of their portfolios to this stock. Since Twenty-First Century Fox Inc (NASDAQ:FOXA) has experienced falling interest from the entirety of the hedge funds we track, logic holds that there exists a select few funds that decided to sell off their entire stakes last quarter. It’s worth mentioning that Daniel S. Och’s OZ Management dropped the largest position of the 700 funds followed by Insider Monkey, totaling about $414.8 million in stock. Doug Silverman and Alexander Klabin’s fund, Senator Investment Group, also dropped its stock, about $238.4 million worth. These transactions are interesting, as aggregate hedge fund interest dropped by 5 funds last quarter. Let’s check out hedge fund activity in other stocks – not necessarily in the same industry as Twenty-First Century Fox Inc (NASDAQ:FOXA) but similarly valued. These stocks are Sumitomo Mitsui Financial Grp, Inc. (NYSE:SMFG), Enbridge Inc. (NYSE:ENB), Ecopetrol S.A. (NYSE:EC), and Northrop Grumman Corporation (NYSE:NOC). This group of stocks’ market caps resemble FOXA’s market cap. As you can see these stocks had an average of 19 hedge funds with bullish positions and the average amount invested in these stocks was $570 million. That figure was $10.49 billion in FOXA’s case. Northrop Grumman Corporation (NYSE:NOC) is the most popular stock in this table. On the other hand Sumitomo Mitsui Financial Grp, Inc. (NYSE:SMFG) is the least popular one with only 10 bullish hedge fund positions. Compared to these stocks Twenty-First Century Fox Inc (NASDAQ:FOXA) is more popular among hedge funds. Considering that hedge funds are fond of this stock in relation to its market cap peers, it may be a good idea to analyze it in detail and potentially include it in your portfolio. Electronic Arts Inc. (EA) Holds Off Activision Blizzard, Inc. (ATVI) to Remain... Collegium Pharmaceutical, Inc. (NASDAQ:COLL): Are Hedge Funds Right About This... Wells Fargo & Co (WFC) vs. JPMorgan Chase & Co (JPM): Hedge Funds... 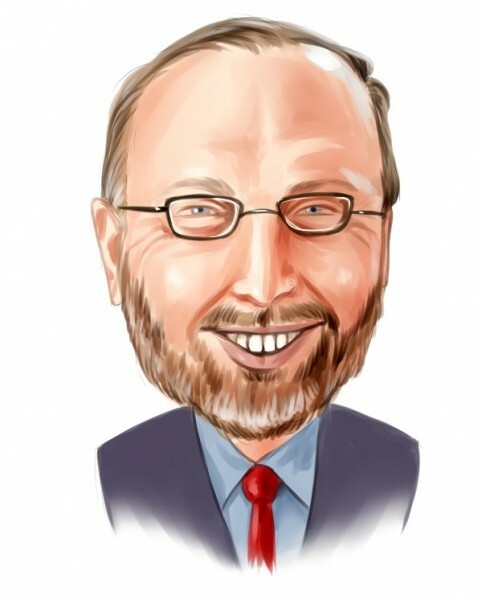 Hedge Funds Can’t Stop Buying salesforce.com, inc. (CRM) Hedge Funds Are Crazy About Biogen Inc. (NASDAQ:BIIB) Is OptiNose, Inc. (NASDAQ:OPTN) A Good Stock To Buy?